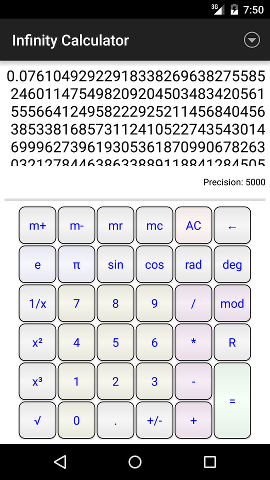 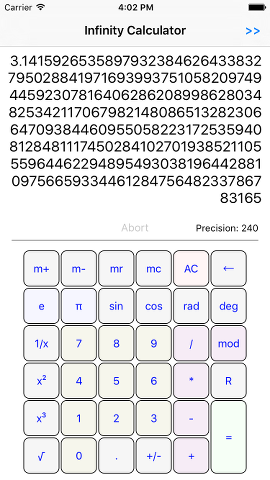 Infinity Calculator is a simple calculator designed to work with very large numbers. 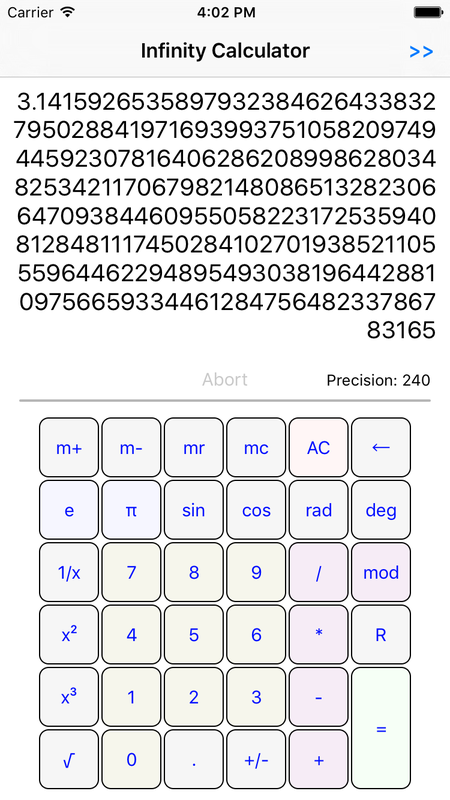 The numbers and arithmetic operations are only limited by memory, CPU speed and operating system restrictions (text control limitations). 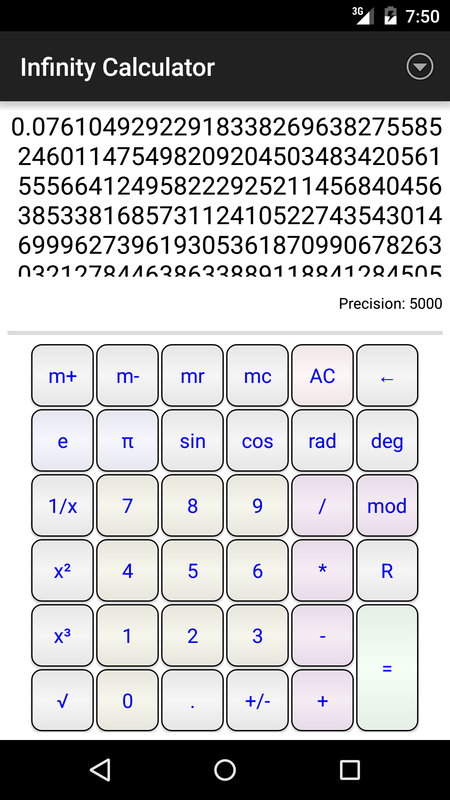 The fractional precision of division, square root and trigonometric functions is limited by a setting of up to 10,000 digits. 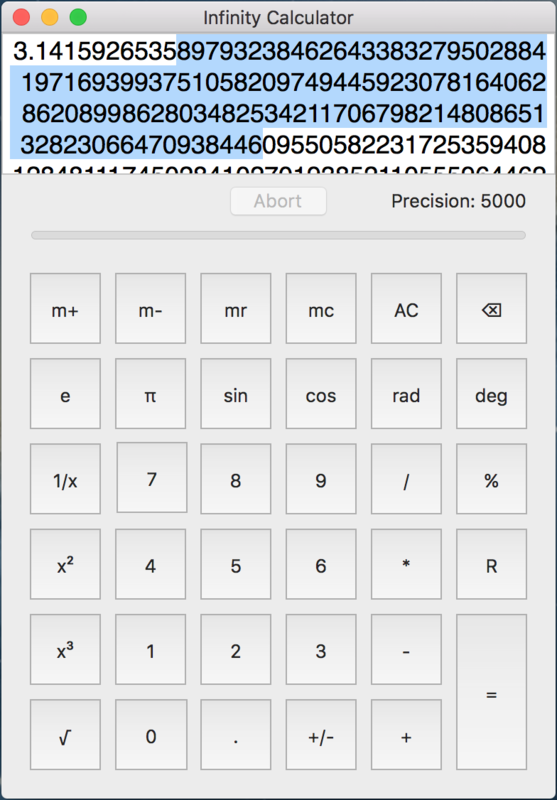 Included is a benchmarking tool to test the single threaded integer performance of your CPU (it calculates the sine function's Taylor polynomial of degree 60 using Euler's number as a variable with a precision of 3000 digits). 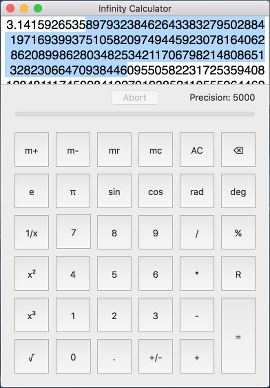 The benchmark results from iOS, Android and OSX	are directly comparable.